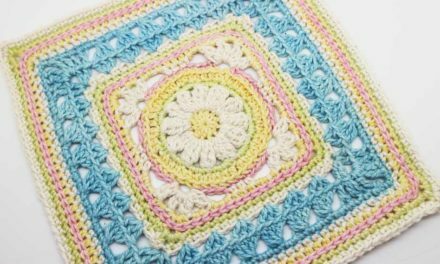 The Blanket incorporates some super simple stitch-work, a little bit of overlay, a little bit of of embroidery and a whole lot of fun. For those of you who the panic stations when you read embroidery…… Deep breaths. It’s a little bit of cross stitch and you’re going to love it. Your Kit will include: 34 balls of Pure cotton- ColourSpun yarn and 1 balls of Rayon-Cotton Blend. A set of 5 x Mini 10 gram mini’s are also included in this kit. This CAL launches on the 24th of Aug 2018. Kits will begin shipping 3-4 weeks before the CAL starts. ColourSpun yarns are created by hand; each skein is imbued with the artist’s energy and will have its own unique characteristics. Only the finest quality pure cotton is used; coloured in a smoke free and pet friendly environment using earth friendly dyes which have excellent wash fast and light fast properties. ColourSpun have developed a process that uses the minimum amount of water and solar heat and when that’s not possible – gas, which is a cleaner alternative to our national electricity supply. ColourSpuns signature will always be yarn that is different, each piece and skein having its own character and filled with a special energy. Fibres: Pure South African Cotton – extra soft. Hand Dyed and Air dried. Carries the certifying mark for pure cotton. When an item carries this mark, it has to comply with the minimum specifications and is manufactured from a min of 95% pure cotton.